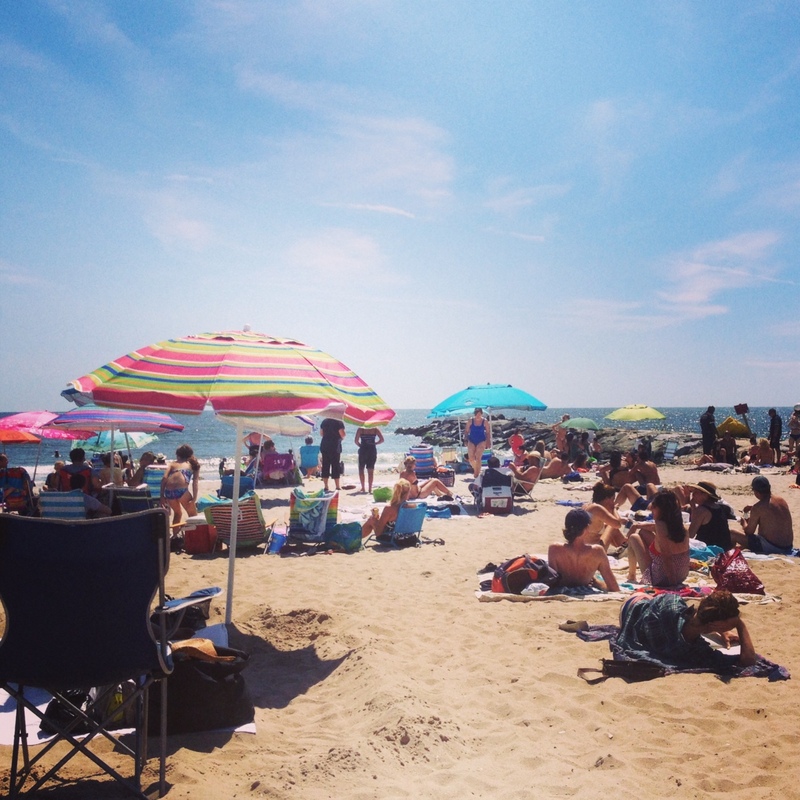 summers coming to an end, and i made my first trip to the beach… hence the pic of the rockaways above from earlier today. this week i hit the 40 mile mark… all while being sick – summer cold complete with hacking cough. ugh. but i got it done. ran all my training runs – speed on wednesday with the group, tempo run yesterday (which i’ve come to realize are not at all my favorite kind of run). so onward i go to week 9! my next post i will be a year older, and maybe i’ll have a few good stories about long runs upstate! 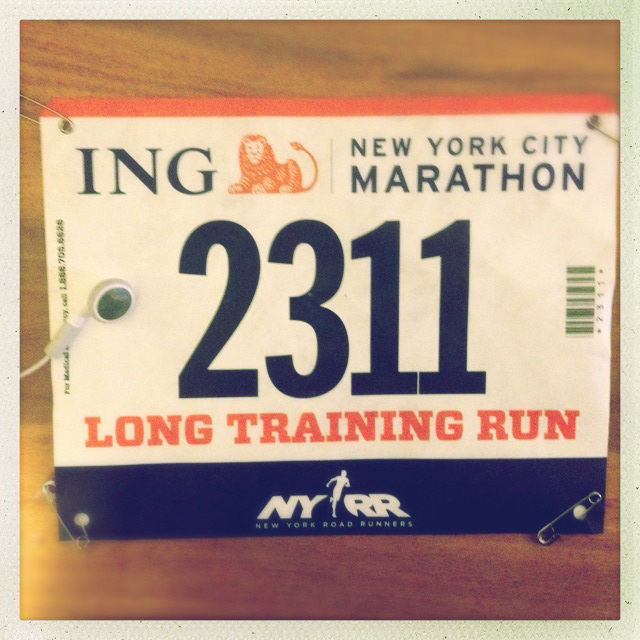 next time ING shows up on my bib will be the real deal marathon!! week SEVEN. done and done. it was another great week of running – 35 miles on my legs this week, and to mix it up – i went swimming – which was a lot of fun. but fear not – triathlon is not for me. i’m not a good enough swimmer – and i’ll never wear one of those spandex get-ups!! 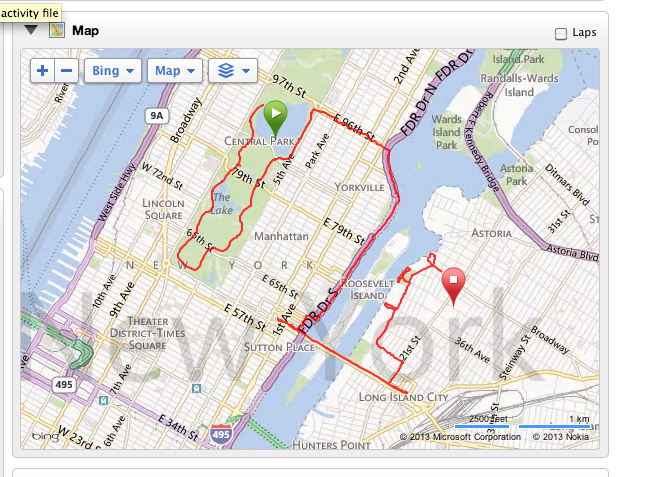 this morning was the second (and last) NYRR ING long training run. it so happened that i had a 12 mile run on my calendar – so it worked out well. it was a nice slow, easy run. amazing how that distance is not nearly as hard as it used to be. soon enough, those long runs are going to get longer and longer. as far as the wednesday speed workouts – the cooler august evenings have been working to my advantage. this week was speed reps – 200’sx8 at about a 47-50 sec a piece. i’m going to test those speedy reps by racing on september 7th – 4 miles. i’m excited to see how all this work affects a distance i have raced many, many times. in the meantime. i need a nap.. and ready for week 8!! week six… i’m exhausted. maybe it’s due to the fact that not only am i training for a marathon – but i’ve also been working every weekend since may… but those work projects are exciting. more on those another time. this morning, i woke up – and missed the door opening and walked into the wall. like i said – i’m tired. it was a great week of running though. “Team McCartney” – (yes, the run smart folks broke us into 4 groups based on speed – named after the beatles) – ran speed drills sans our coach Andre. but we killed it. 8×2 minutes at a 7:40 pace – but i will note – that i ran these faster for the most part, and ran my fastest 2 minutes on lap 8 – which kind of blows my mind that i was able to do that. 6:49 minute mile. – now the trick is – how do i sustain that speed for a longer duration?? and today i had a great 11 mile run with one of my flyer friends. 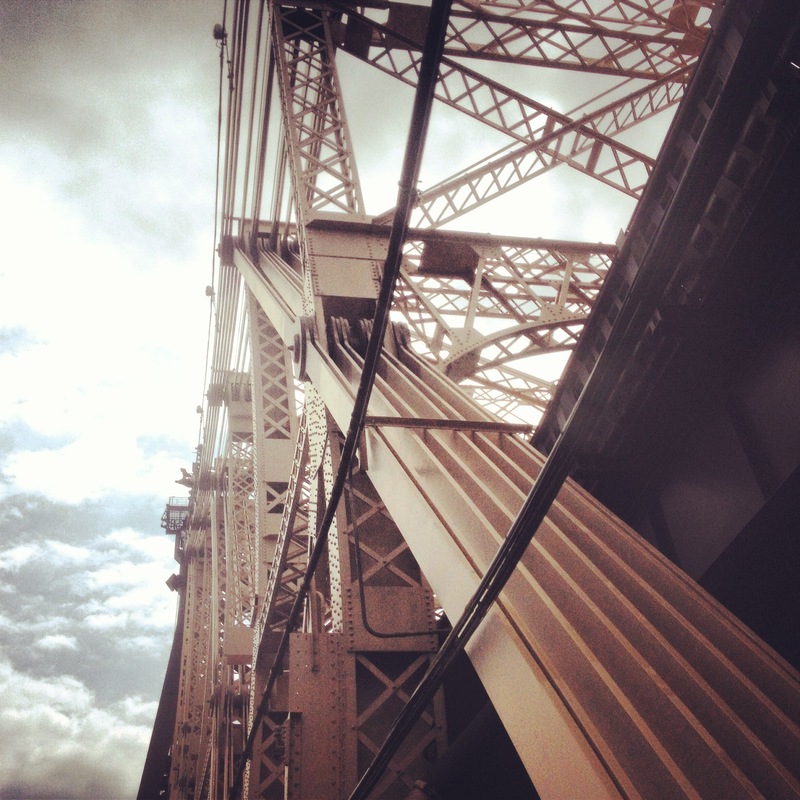 we did a destination run over the Queensboro bridge (one of my favorites) – and up to astoria, where we indulged in brunch. it was a hard run – but not awful. after running 7 miles yesterday – my legs were a little tired – but feel great about it – not to mention, ready to run another 6 tomorrow before i get a day off! above is a pic of the bridge – i rarely do that while i’m running – but i just had to. i love the beauty of that bridge. it’s like the underdog of east river bridges. and below is a map of my run. no pictures this week… just the basics. some of these done on the treadmill due to crappy weather… lesson learned from this? another lesson learned this week? do not go out for a run in central park on a beautiful sunday afternoon unless one wants an obstacle course of tourists blindly walking through the road, adults riding bikes who really need training wheels, and cute little kids on those scooter things with no fear. all of the above will plow down a runner with no remorse! next week? back up in the 30+ milage zone! !